“Within any given moment is hidden the pure potentiality of grace. Within any arising of grace lies the potentiality of perfect stillness. 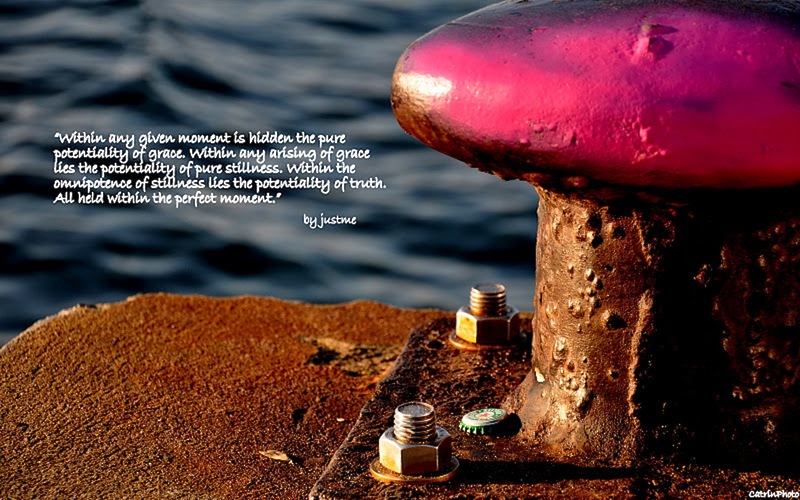 Within the omnipotence of stillness lies the potentiality of truth, all held within the perfect moment. This entry was posted in JustQuotes, JustWritings, Nature, Presence and tagged Grace, Potentiality, Prayer, Stillness, Truth by Michaela. Bookmark the permalink.